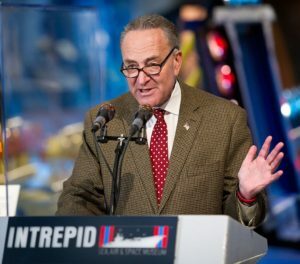 Senate Minority Leader Chuck Schumer told reporters late Tuesday that, no matter what happens in Thursday’s Senate Judiciary Committee hearings, Supreme Court nominee Brett Kavanaugh will not be afforded the “presumption of innocence,” when it comes to charges he sexually assaulted a female classmate in high school. 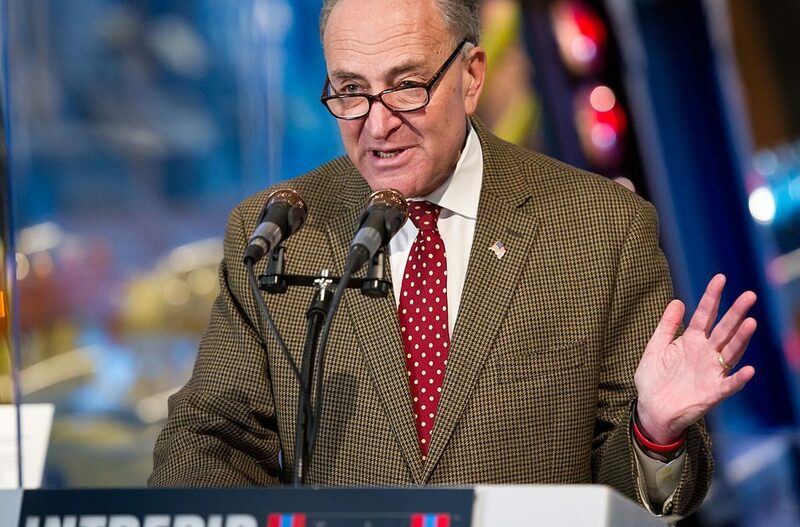 Speaking at a press conference, Schumer claimed the hearings are “not a criminal trial,” so Kavanaugh does not need to be given the benefit of due process. Schumer, get a job! You’re fired! If you love America then stand by her and keep what we have now with this ADMINISTRATION.if not you ca Kiss your and my rights AWAY. I was so glad that Graham went off on Feinstein and her dirty demons you could tell Feinstein knew then she and the rest of her b****** we’re put on the fence. People who would vote in November for the DEMON-CRAPS HAVE NO CONSCIENCE OR CREDIBILITY. VOTE REPUBLICANS…. The presumption of innocence goes back to the Magna Carter and is not limited to legal proceedings. Where do we get these legal rules? From the ethical principles we hold as a moral society. Most of us think murder is wrong, so we make a law against murder. Most of us think stealing is wrong, so we make a law against theft. We know it is wrong to make a judgement about a person’s guilt or innocence without conducting a fair investigation which involves the accused being able to confront his/her accusers. If this principle were not part of our society’s ethos it would never have ended up embedded in our legal code. Schumer, therefore, is sadly mistaken. Presumption of innocence and due process are cornerstones of our Constitution,Chuck, maybe you should read it.